This is the most delicious breakfast that’s great for a crowd with minimal effort. It’s perfect for weekends with family around this time of year. 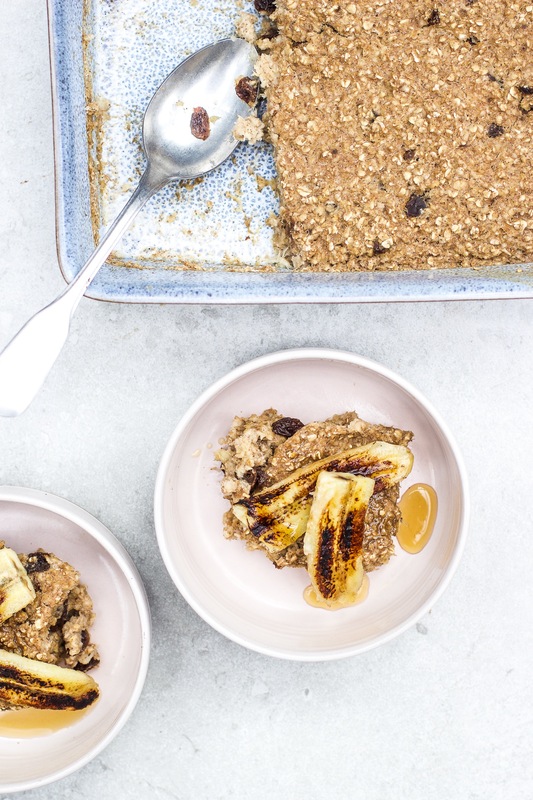 Fried banana is my favourite breakfast and dessert topping and it’s the dream with the pillowy oats and plum raisins. In a large bowl, mash the banana well with a fork. Add the oats and cinnamon and mix well. Pour in the nut milk and raisins and mix again. Pour the mixture out into an 8 inch oven dish and spread it out evenly. Bake at 180’C for about 30 minutes until lightly golden and set. During the last 5 minutes of baking time, slice the bananas in half and fry them with a little coconut oil until golden and crisp. 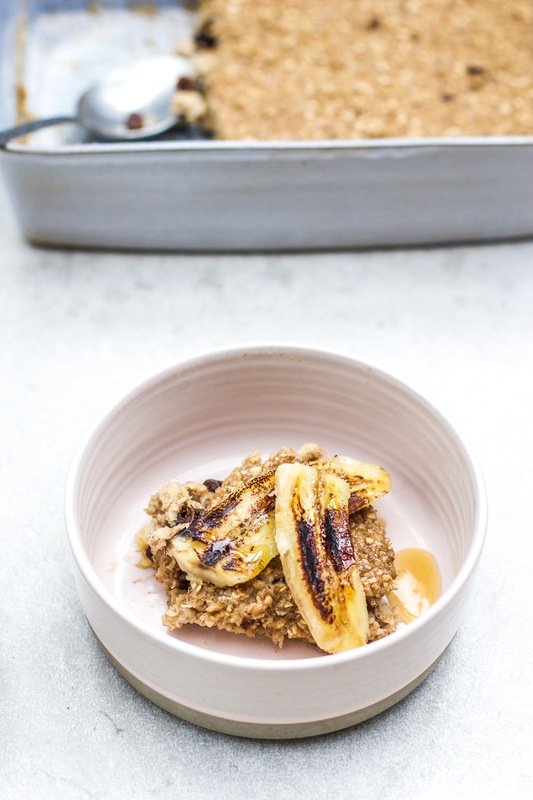 Serve the oats with a dash more nut milk and the fried banana on top. Quite dry didin’t bother wt fryied bananas.